We are now well in to February, and that can mean only one thing – Valentines Day, is just around the corner. Why not do something different this year and show your undying affection for your loved one, with a Love Lock. Simply write the name of your loved one along with your own on to a padlock, attach the lock to an important place, often a bridge, then chuck away the keys, the love that the padlock represents is now unbreakable. 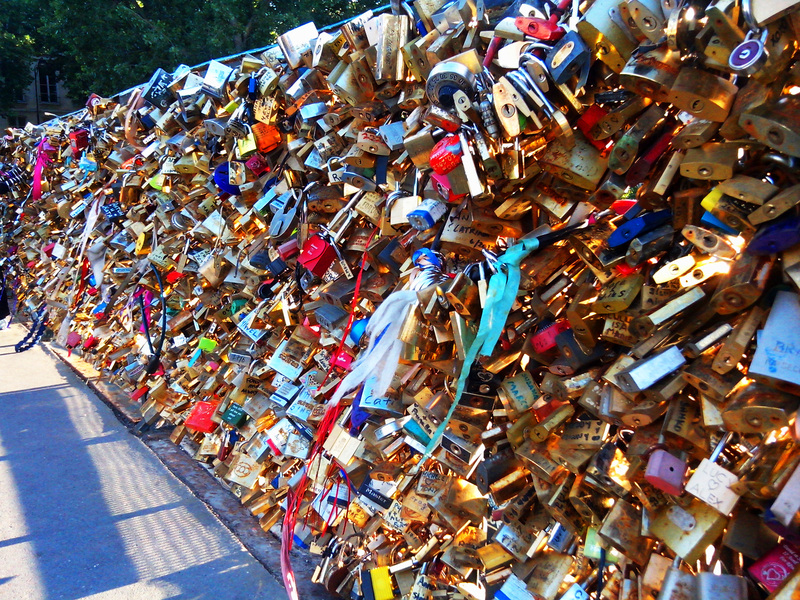 In Europe, the origins of Locks of Love can be traced back to Rome’s Ponte Milvio bridge that was featured in the book I Want You by Italian author Federico Moccia, in this book that was later turned into a film, a Love Padlock is placed on the bridge. Price for suitable padlocks start at just £2.12, but those are quite small padlocks. A padlock with a body width of 40mm and over is ideal, these start at £4.17, so you really don’t have to splash out too much to show your everlasting love!